Dr. Sudeep Kumar Pradhan is working as Assistant Professor in Mechanical Engineering department of BITS Pilani, Pilani campus and stationed at Pune Off-campus center. He received his Bachelor in Engineering from Biju Patnaik University of Technology (BPUT), Odisha in 2006. He received his Master of Engineering in Manufacturing System Engineering and Ph.D. in Supply Chain Management from BITS Pilani in the year 2009 and 2014 respectively. His research interest lies in supply management integration, supplier development, and supply chain visibility and operation research. He involved in teaching various courses like Supply Chain Management, Quality Control Assurance & Reliability, Production Planning and Control, Statistical Process Control etc.at graduate and undergraduate level. 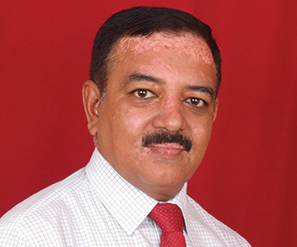 In administrative responsibility, he is faculty In-Charge and program Coordinator for B.Tech Manufacturing Technology and M.Tech Automotive Engineering program at Cummins India Ltd. and Tata Motors Ltd. respectively. He is core member for B. Tech Engineering Technology, B. Tech Manufacturing Technology, M. Tech Quality Management and M. Tech Manufacturing Management. Sandeep Kayastha is an Associate Professor in off-campus programs. He completed his MTech from IIT Kharagpur. Prof Sandeep teaches MBA level courses in Operations Management and allied areas, and conducts Management Development Programs for senior executives in the manufacturing industry. Before joining BITS he worked as a faculty member in several leading educational and research institutes of the country. 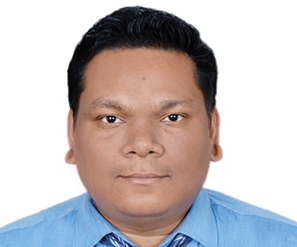 Sandeep Kayastha is an active researcher. His current areas of research are marketing and contract law, workload reduction, simulation, and history of technology.